​There is a Spokes ride on the first Sunday of every month at 10.30. Our rides are a celebration of slow riding and a leisurely exploration of the beautiful Kent countryside. We ride on cycle paths, quiet roads and country lanes - you will often be surprised how few cars you see. We plan to cater for cyclists of varying experience and ability; we are certainly not all lycra. As we ride at “chatting” speed, it’s an opportunity to catch up with old friends and meet new ones. We stop for a relaxed lunch at a cafe or pub and our rides always start and finish at a railway station. So in short, a Spokes ride is an unashamed escape from day to day living and an opportunity to enjoy Kent and enjoy your bike. We have taken every care to ensure that ride details given here are correct at time of publishing but you may wish to check with the leader by phoning before travelling. You are advised to wear protective equipment, such as a cycle helmet, and wear warm clothing in cold weather. On longer rides, there will usually be refreshment stops but please bring a drink and some food with you. You should ensure your bike is in a safe, roadworthy condition before setting out. Could you lead a Spokes ride? We're always looking for people to lead our monthly rides. A ride can be any distance to any location and suitable for any type of bike - and cyclist! The only requirements for a ride are it follows a circular route starting from a railway station and there's a lunch stop. Catha’s Seat is a remote spot on National Cycle Route 18 and the Stour Valley Walk, with two handcrafted solid oak benches and cycle parking. It is named after Catharine 'Catha' Keegan, a dedicated cycling campaigner who helped plan National Cycle Route 18 from Ashford to Canterbury. 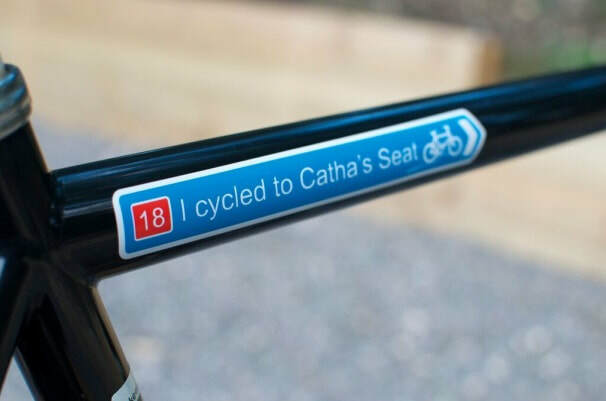 Catherine's mission was to create safer cycling routes and encourage their use, so Catha's Seat and the annual picnic provide opportunities for everyone to discover or re-discover this route as well as the joys of cycling and walking in the glorious Kentish countryside. To find out more about Catha's seat and the annual ride and picnic, please visit http://cathas-seat.org/.